Head coach Calum Forrester, along with players Scott Sutherland and George Hunter, will be moving on at the end of the season. Forrester has been involved with the club for a decade having first appeared in pink and black through the pro draft with Glasgow Warriors in 2008. After captaining the side for numerous seasons and winning all that was available, he moved to the head coaching role four years ago. The club has added to its illustrious trophy cabinet with him at the helm, most notably an incredible BT Premiership title last year. 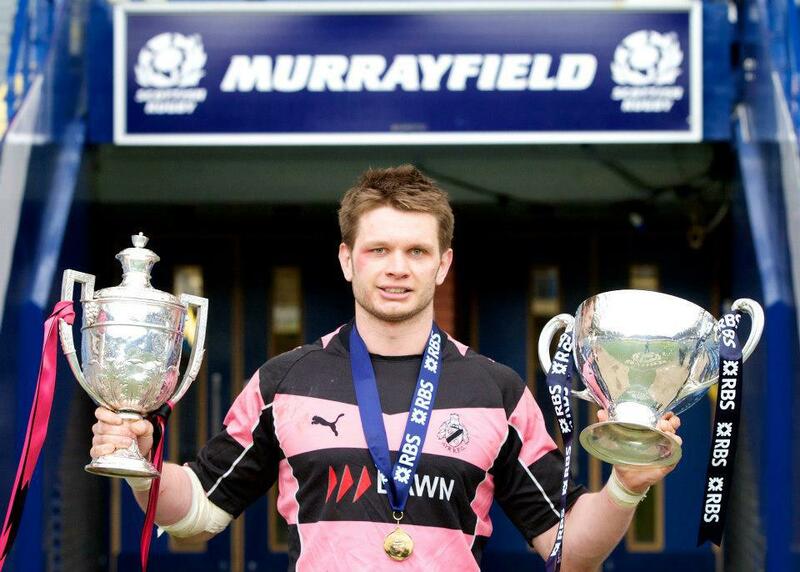 His talent was rewarded at the Scottish Rugby Club Awards dinner last year when he won "Coach of the Year' along with Ayr picking up "BT Club of the Season". Speaking exclusively to ayrrugbyclub.co.uk he said: "I have been involved with the club for ten years now and have loved it all. This group has achieved a lot and I think the time is right to step down and let a new face take over... I would like to thank everyone at the club including Billy McHarg, the medical staff, the players and the fans for making it such a memorable time in my life". George Hunter, who recently passed 100 games for the club, has found work in London so will be moving down south at the end of the season. We would like to thank George for his years of service to the club and community. Scott Sutherland has decided to call time on his playing days. The influential second rower has donned the Pink and Black strip over 200 times, making him one of our most experienced players ever. We wish him all the very best in retirement. This Saturday is set to be Ayr's last home game of the season so we ask as many fans as possible to come down and cheer Calum, Scott and George in their last outing at Millbrae.